Boeing may need to ground its own aircraft. Europeans joined the Chinese and others in suspending flights of the 737 Max 8 after two crashes in recent months, and two US senators called on the Federal Aviation Administration to follow suit. Boeing's stock lost a further 6 percent, lopping off $14 billion or so of market value, on Tuesday. Rather than waiting for its regulator, the company could get ahead of the crisis. US President Donald Trump notified Congress on March 4 after months of speculation that he would terminate the Generalized System of Preferences (GSP) for India and Turkey, starting a 60-day countdown period, after which the US President has the right to take action against the two countries on his own authority. A draft foreign investment law that has been submitted to the second annual session of the 13th National People's Congress (NPC), China's top legislative body, for deliberations last week, is scheduled for a final vote on Friday. After a near three-year investigation, the US Federal Trade Commission (FTC) recently announced that short-form video app TikTok, also known as Douyin in China, has agreed to pay $5.7 million to settle the FTC case over its violation of the Children's Online Privacy Protection Act (COPPA). TikTok is a bit unlucky to have been slapped with the largest civil penalty the FTC ever obtained in a children's privacy case. The FTC originally targeted a video social networking app named Musical.ly, but in November 2017, TikTok's parent company, ByteDance, spent up to $1 billion to acquire Musical.ly, which, the FTC case alleged, had violated the rights of users under the age of 13 in a number of areas. 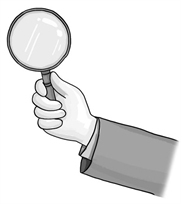 For Chinese companies, the FTC is less famed than the Committee on Foreign Investment in the United States (CFIUS). However, as more Chinese companies explore the overseas market, the FTC is another agency that we must study carefully and pay attention to. Norway has taken a step in the right direction, but then slipped on an oily patch. Oslo on Friday finally answered a question that had kept climate change watchers on tenterhooks: whether its $1 trillion Government Pension Fund Global (GPFG) would continue to invest in oil and gas stocks. Its equivocal response represents a missed opportunity. Melrose Industries' magic touch is missing from its latest deal. The UK engineer, which swallowed 8 billion pound ($10.41 billion) rival GKN last year, boosted sales and margins without slashing investment. Still, a sluggish car industry could challenge its acquisition-driven model. 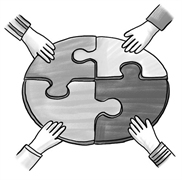 Against the backdrop of a worsening international economic environment, China needs to find solutions as soon as possible in case more Western countries unite against it on some major economic issues. The country should pay attention to deepening bilateral relations with important economic and trade partners by building a more comprehensive and high-standard free trade network. And the UK could be one of the developed countries with which China could strengthen economic cooperation in a new round of changes to the international economic order. Mizuho's harsh medicine gives investors a taste of Japanese banking ills. The country's second-biggest lender by assets took a $6 billion hit and slashed its annual profit forecast on Wednesday by 86 percent. Losses on dozy rural branches and duff offshore trades are symptomatic of ultra-loose monetary policy. New rules to ease consolidation should at least offer some relief. Following the synchronized global economic expansion of 2017, last year was marked by asynchronous growth. With the exception of the US, many countries experienced slowdowns. Concerns over US inflation, the US Federal Reserve's policy trajectory, trade wars, Italy's national budget, and debt woes, combined with China's slowdown, and emerging-market fragilities, led to a sharp fall in global equity markets by the end of 2018. With increasing discussions about Vietnam's “miracle growth,” a Vietnamese image of aggressive economic development has gone viral on social media in recent days. Various financial media have analyzed the country from the perspectives of setting up factories, investing in real estate and other sectors to lavishly tout the high investment returns and encourage domestic capital to invest in Vietnam. Although Vietnam has undoubtedly seen substantial economic achievements and social progress since its “renovation and opening-up,” and the country has maintained a relatively high economic growth rate, investors should not take for granted that setting up factories or investing in real estate in the country can just generate high returns, as there are still many uncertainties. It seems the time has come for France and Germany to formally endorse the China-proposed Belt and Road Initiative (BRI). Automaker Nio is on a roll, delivering more than 11,000 units in its first year of sales. Tesla's Chinese rival benefits from government subsidies, and from drivers' enthusiasm for premium electric vehicles (EV). But other up-and-coming brands are hurrying new models to market this year, putting Nio to the test. An interesting gathering in Egypt between Arab nations and their European counterparts took place on February 24. On Saturday, trade ministers from 16 Asia-Pacific countries gathered in the Cambodian city of Siem Reap to resume negotiations over the Regional Comprehensive Economic Partnership (RCEP). The proposed RCEP, which aims to create one of the world's largest trading blocs encompassing 45 percent of the world's population and 40 percent of global trade, is now at a critical moment. While the participating countries generally hope to reach a final deal by the end of this year, uncertainties should not be overlooked. Several Western media outlets in recent days focused on China's economic slowdown amid coverage of the ongoing annual two sessions being held in Beijing. They raised concerns about various economic risks faced by China, but we noticed most issues were mentioned by the Government Work Report delivered by Premier Li Keqiang to lawmakers on Tuesday. 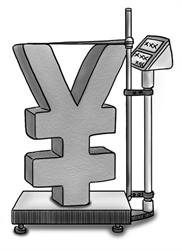 The report speaks more clearly than foreign media outlets about the seriousness of China's economic problems. As the National People's Congress (NPC) has opened its annual legislative meeting in Beijing, some of China's wealthiest individuals are asking the lawmakers to cut the income tax rates of the highest earners, but these demands from the rich have met fierce opposition from the middle class and the underprivileged poor. Ever since uppity investor Elliott Advisors turned up at Pernod Ricard late last year, Paris has been awash with talk that LVMH is lurking somewhere behind the gilded curtains, waiting to pounce on the $46 billion spirits group. The rumors reached fever pitch in February when an equity research firm published a report detailing the potential financial benefits that might accrue from such a deal. 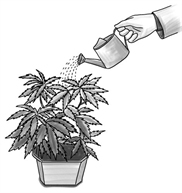 China's exports of industrial hemp products have been growing fast in recent years, mainly because they are more cost effective than overseas industrial hemp products. However, in the future, Chinese hemp exports might take a hit from the rising industrial hemp industry in the US.